"It provides a quick and easy visual dictionary as an aid to identifying palm maladies…a useful reference for botanists, horticulturalists, landscapers and nurserymen…one of the best sources of information on the subject." 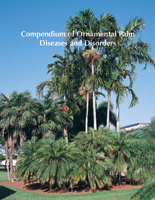 The Compendium of Ornamental Palm Diseases and Disorders provides current information on diseases and disorders affecting palms during nursery production and later in the landscape. With the help of 237 color images, detailed descriptions, and treatment methods, readers will learn to visually identify and treat diseases and disorders that affect the health and beauty of these important ornamental plants. Palms lose their beauty, and sometimes die, for numerous reasons - not all caused by diseases. The goal of this work is to help readers separate, for example, leaf spots caused by a disease vs. leaf spots caused by a nutritional deficiency; death caused by a bud rot vs. death caused by lightning; or leaf shredding caused by a disease vs. leaf shredding caused by wind. The ability to determine the cause is critical to selecting successful control measures, which can vastly vary. This ambitious treatment of an economically important host is presented in the popular APS Compendium format with new high quality photographs, up-to-date diagnostic and treatment information, and references provided for each topic. An introduction on palm morphology and biology are added in addition to new diseases and enhanced detail. Readers will find data on distribution of pathogens within the United States and worldwide, descriptions of laboratory techniques including information on pathogen isolation and maintenance techniques, a list of potential hosts for each pathogen, and step-by-step treatment methods for diseases and disorders. 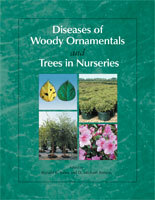 This book is applicable to any geographic location where palms are grown, whether indoors or outdoors, and will be valuable for a wide range of readers, including nursery growers, extension professionals, plant pathologists, horticulturists, landscape professionals, diagnosticians, arborists, landscape consultants, landscape architects, botanical garden professionals, palm researchers, and palm hobbyists. "The range of diseases covered is very comprehensive and covers most of the major diseases affecting palms. As one would expect from the compendium series this is an excellent book and should be an essential addition for diagnostic labs and for anyone with an interest in diseases of palms. 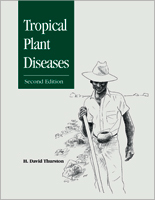 It would also be an excellent purchase for anyone seriously involved in the propagation and cultivation of palms as it is an extremely practical guide to the diseases and disorders."